Big changes are coming to local broadcast TV stations. 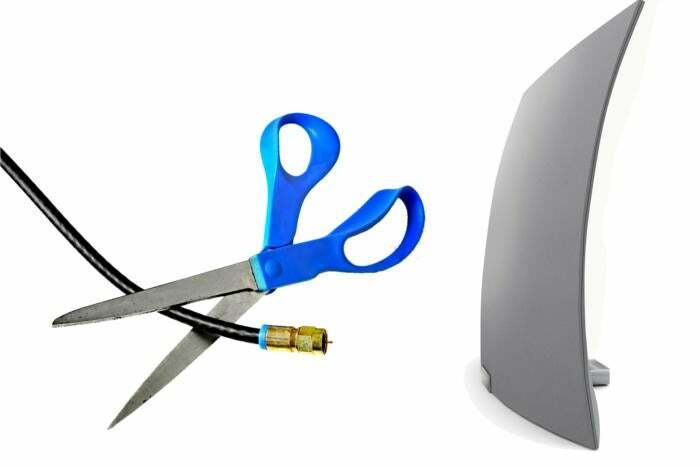 Here's how they'll affect cord cutters. If you depend on free over-the-air broadcasts from a TV antenna, you might have heard rumblings about a spectrum auction by the Federal Communications Commission (FCC) that will bring big changes to your local broadcast TV stations. Unfortunately, it can be hard to tell from the media coverage what the auction actually means for antenna users. To figure it all out, I’ve done some research and spoken with the National Association of Broadcasters’ (NAB) executive vice president of communications Dennis Wharton. In a nutshell, what’s happening? Over the last year, the FCC has been looking to repurpose a portion of the public airwaves used by television broadcasters. By clearing these airwaves, the FCC can make way for new and improved wireless data networks. To that end, the FCC has held a reverse auction, through which many broadcasters agreed to vacate their airwaves in exchange for large sums of money. The FCC, in turn, auctioned off the resulting wireless spectrum to internet and telecommunications providers such as T-Mobile and Comcast. They’ll use those airwaves to make wireless networks more reliable, launch new services, and lay the groundwork for 5G wireless. How many channels are affected by this? As for your local area, the website RabbitEars has a useful tool for looking up changes by state, city, market, and operator. Results highlighted in blue, green, yellow, or red are moving to a different channel. Results highlighted in gray will either go off the air or reach channel-sharing agreements. Are there downsides to a station changing channels? What does channel sharing mean? You bet. Each channel can only carry a finite amount of data, so the more subchannels that a station packs in, the lower quality those channels must be. If two channels broadcasting in high definition enter a channel-sharing agreement, for instance, chances are one of those channels will drop to standard definition after the switch. But since all this dealmaking is still underway, it’s hard to say what the exact impact of channel sharing will ultimately be. Channel sharing could also affect the upcoming transition to the next-generation broadcasting system in the U.S. and some other regions of the world, technically known as ATSC 3.0. This new format will allow for Ultra HD broadcasts, supplemental digital features, and access on mobile devices without a separate TV tuner. But lower-resolution subchannels probably won’t be able to to offer these features, and the might get squeezed out of the lineup entirely. Bottom line, is my favorite channel in danger? For the most part, major broadcast networks are either staying put or moving to a different channel number. Among channels going off the air, the brunt of the impact will be on public-access stations, local-oriented stations, and smaller multicast networks—such as such as Buzzr, Comet, and MeTV—that operate on subchannels. Those multicast networks, by the way, have been booming in recent years as more people cut cable TV, but they might have to start streaming or signing cable distribution deals in markets where they’ve been displaced from the airwaves. Still, it’s worth keeping things in perspective: Less than 7 percent of U.S. broadcast stations are going off the air, and many of those stations’ channels could be spared by channel-sharing agreements. What’s the timeframe for all this? If a station wants to go off the air, it can do so immediately after providing 30 days’ notice. Some have already set the process in motion. As for the channel reassignments, the FCC’s plan is to roll them out in 10 phases, beginning on November 30, 2018. The entire repackaging is supposed to be complete by July 3, 2020, and the FCC can revoke the licenses of stations that fail to meet the deadline. But that date has stirring outrage among broadcasters, who say they need more time and money to move their channels. Wharton says the NAB is working with the FCC and Congress to address the industry’s concerns, so don’t be surprised if delays ensue, just as they did when broadcasters switched from analog to digital eight years ago. “That was a piece of cake compared to what this is going to involve,” Wharton says.